A patio simply provides a nice exhilarating spot to enjoy the ‘outside world’ with your family and friends. It’s such a fun addition to every house that every homeowner really dreamsr to have. 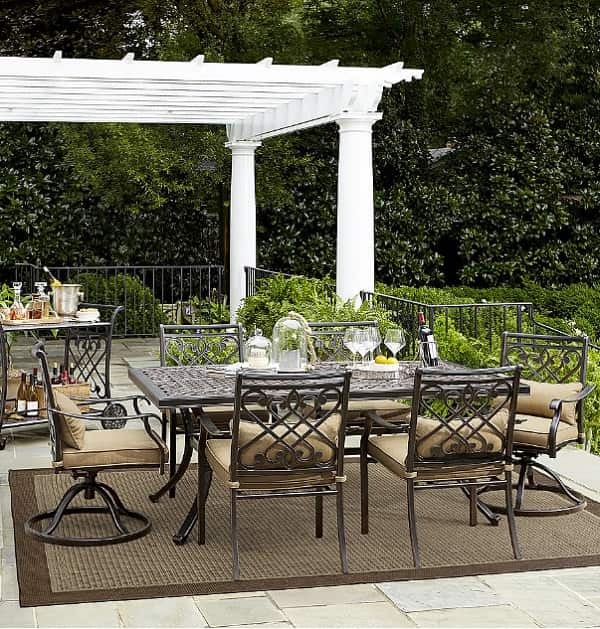 In fact, patio has become one of the most popular choices when it comes to home improvement. It’s because the patio surely provides lots of benefits for everyone which is so hard to resist. 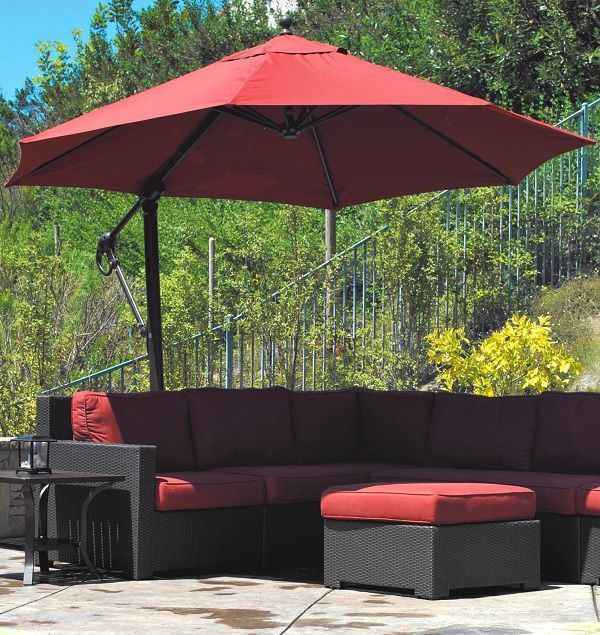 To complete a patio, some outdoor furniture and accessories are the next thing that you have to consider. 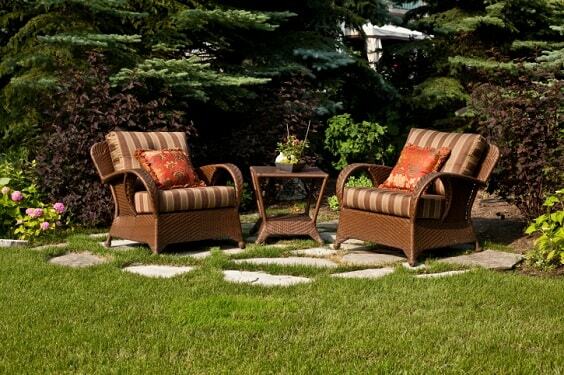 You can’t have a paved area in your backyard without adding some chairs, tables, or other stuff around. 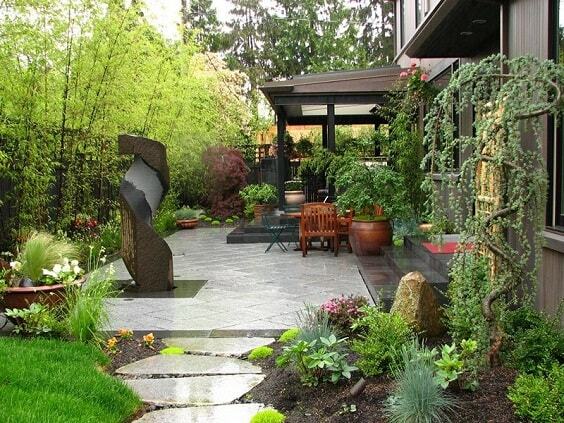 Moreover, landscaping the patio is also the considerable idea to make a patio look way more beautiful. Of course, as a part of your house, you have to build it as attractive as it can be to enhance the beauty of your home. Well here, we have dozens of inspiring DIY patio landscaping ideas which, obviously, you can make at home by yourself. 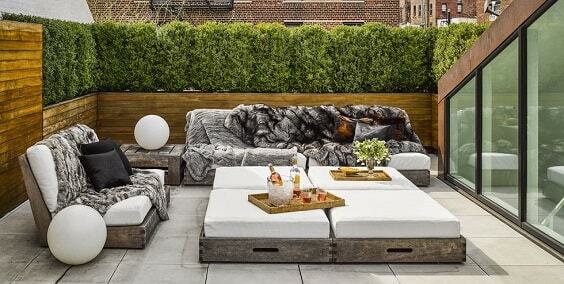 They look so awesome to bring the style of your patio to a whole new level. So let’s just keep scrolling to check our pick for DIY patio landscaping ideas. 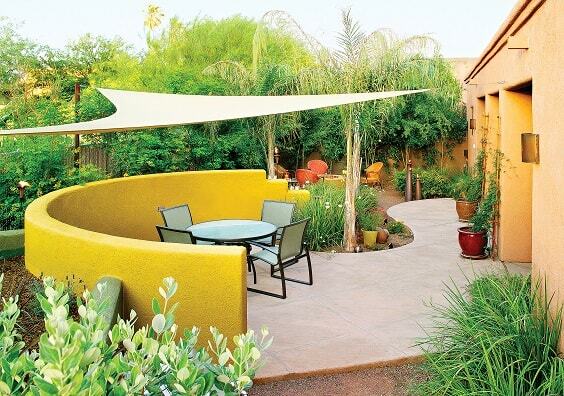 The uniquely stylish patio with the half-circular wall in the yellow finish for your ultimate inspiration. It’s basically a medium-sized patio with 5-piece conversation set, but the wall awesomely adds another style to its overall look. If your patio is a stand-alone type (or built with some distance from the house) instead of the extended one, you can create an entrance by using trees like this ide shows. It’s BradfordA�pearA�trees which grow quickly with the brushes base entrance that looks so beautiful. 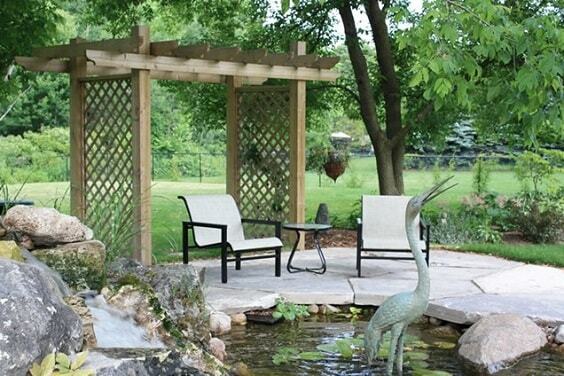 Completing a patio with a pond has become the popular way to make it look and feels more inviting. 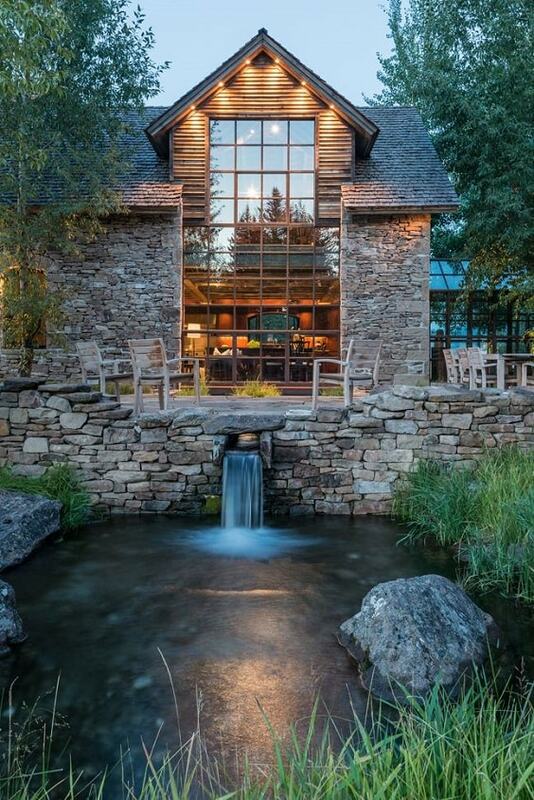 Here, a raised patio is beautified with a pond complete with the waterfall on its lower ground which can be a good inspiration if you have a leveled patio. Yeap, everybody knows that pergola is the most favorite choice when we’re talking about patio’s addition which works as the shade. But here, the pergola is only used as the accent which still provides shade but not as its main job. 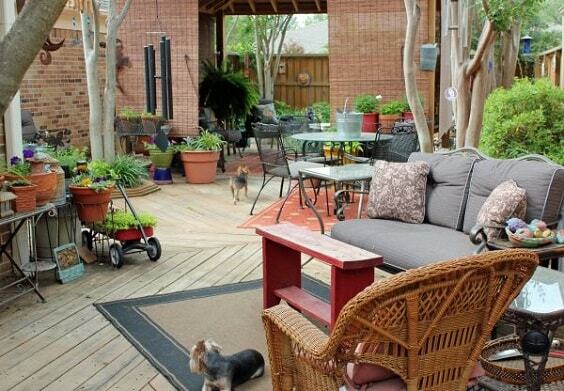 In this layout, the pergola gives such a nice landscapingA�style which makes the patio itself look so gorgeous. This one is a natural way of DIY patio landscaping ideas which uses greeneries and flowers to surround it. 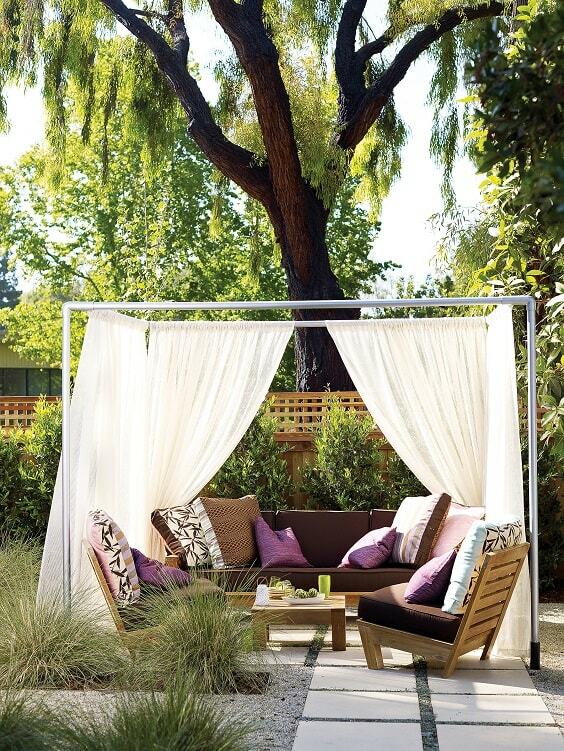 It totally makes the patio looks beautiful and comfortable at the same time. The fountain is another everyone’s favorite water feature to landscape a patio which is so considerable to opt. You will be so pampered by the splashing sound of the fountain which creates such a relaxing atmosphere. 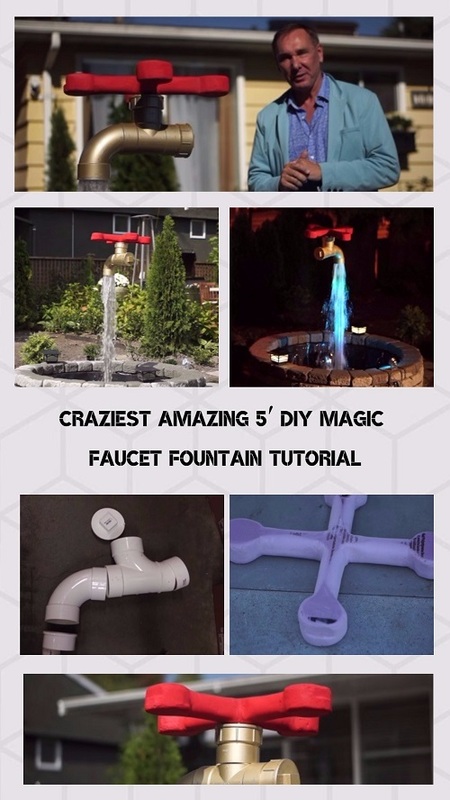 This DIY patio landscaping idea shows an easy and simple (also cheap) way to make a water fountain. The base material which is the used big tire which is completed by some gravels, rocks, and of course, the fountain pump. 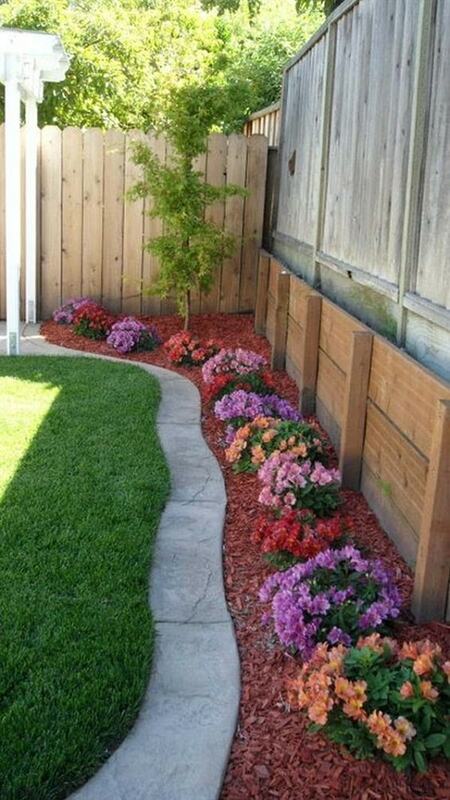 Another easy DIY patio landscaping ideas to create a chic path which leads to your beloved patio. Here, the lavender is chosen due to its beauty and durability. 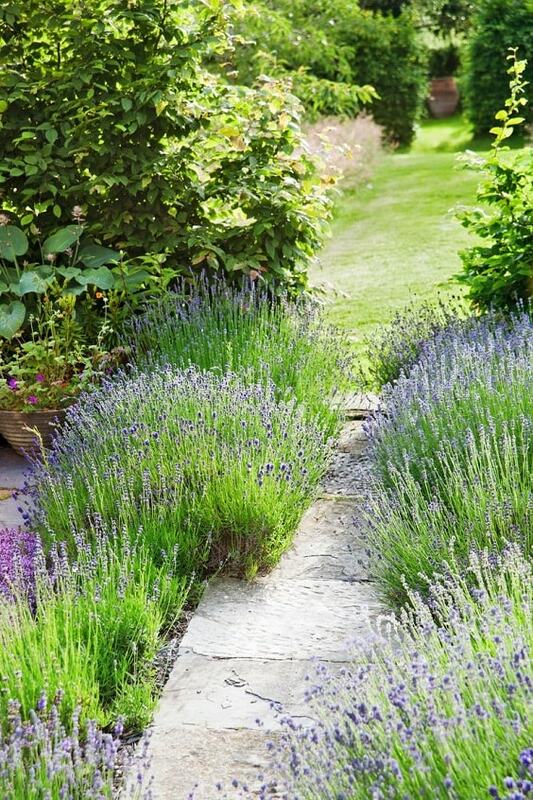 Yeap, lavender is always a great choice when it comes to outdoor plant which can enhance the beauty of your outdoor space. Moreover, it also has such a reliable strength to cope with the harsh outdoor environment. For you have shaded your patio with the stand-alone structure, you can complete the look by adding some climbing plantations. It will create such a cozier nuance that makes everyone love to stay around. 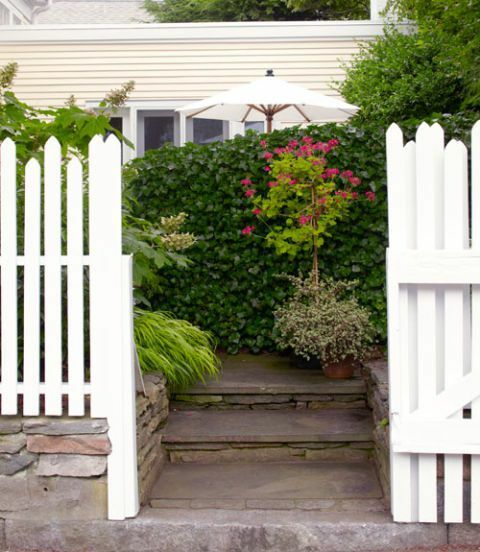 When it comes to giving your outdoor living space a proper privacy, a fence surely works well. But, if you have a quite spacious backyard, you can add the second layer of privacy screen which uses some kinds of the plantation. Here, the English ivy is used to provide the better privacy after a vinyl fence which also beautifies the entire yard perfectly. 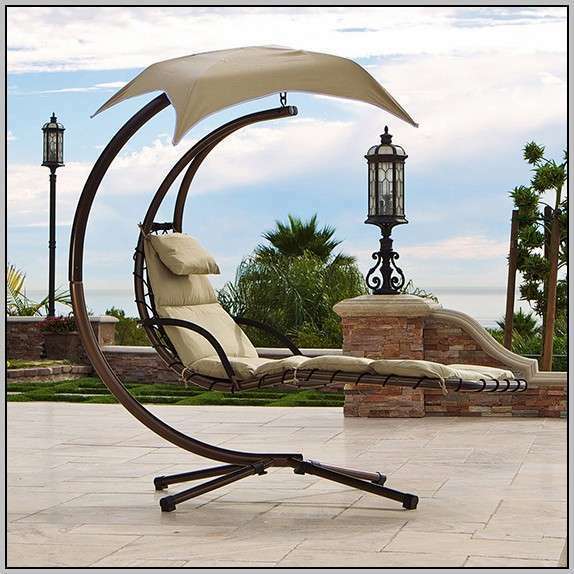 This one can be a good solution for you who want to have a nice resting area in your outdoor space with a low budget. It’s actually not a real patio, but with some flagstones planted around complete with the furniture set, you can say that it’s comfortable enough as the spot to enjoy the summer breeze. 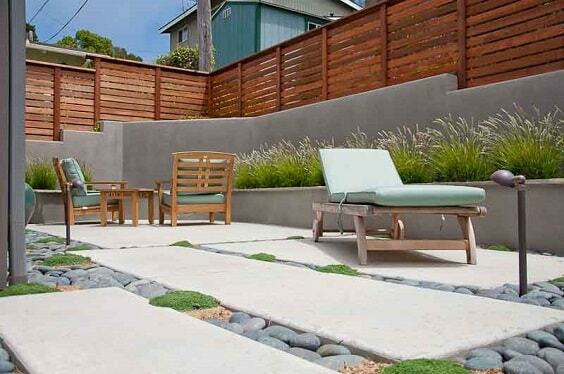 The Asian-inspired DIY patio landscaping ideas which look so inspiring to copy. It uses wood and bamboo as the main materials and located above the black gravel base with some greeneries around. 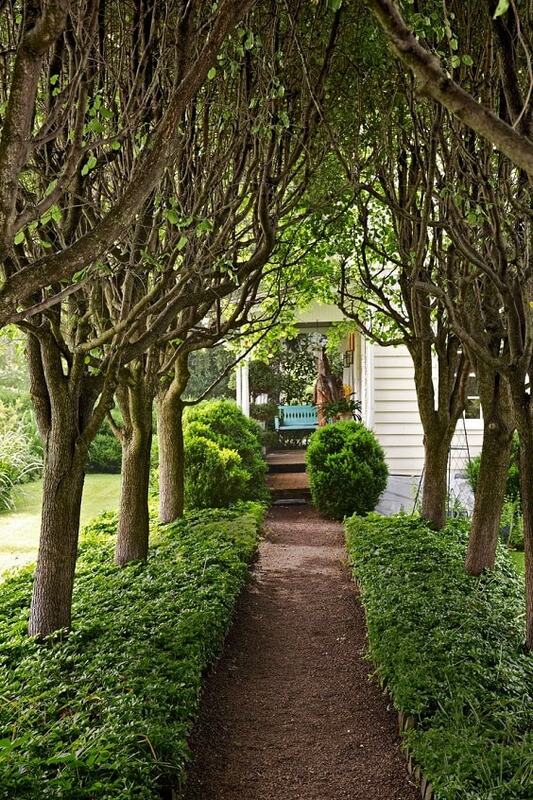 The design of this pathway is so admirable to add another style to your outdoor living space. The trellis fence always gives such a nice look to a patio since it can be combined beautifully with climbing greeneries. 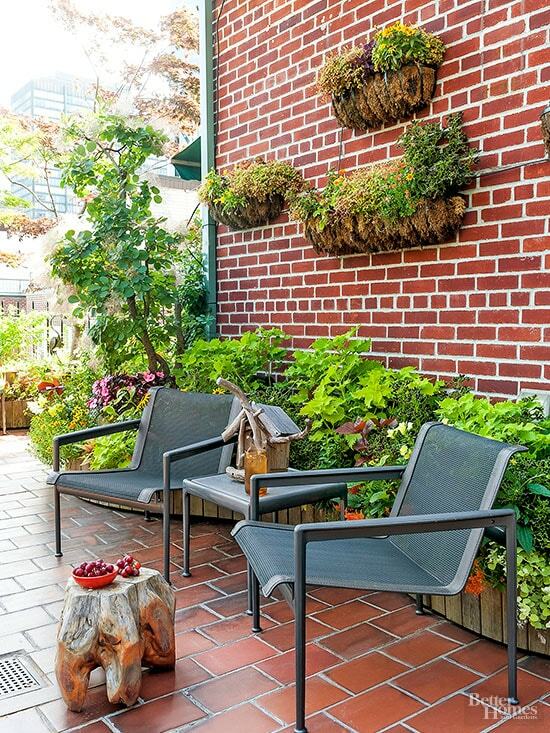 This DIY patio landscaping ideas shows a black trellis fence with the sweet potato vine to give a more attractive look and comforting atmosphere. The stylish DIY patio landscaping ideas which uses some concrete pavers in various chic finishes to create an inviting colorful patio. It will slightly remain you to the vintage exterior layout which is so great to style up your home. Bordering your patio can be a simple and easy way to make it look way more attractive. 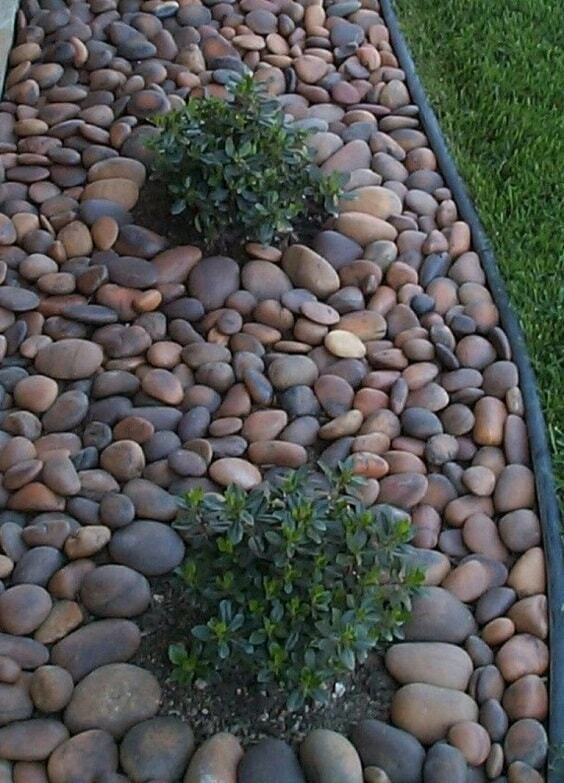 In this DIY patio landscaping ideas, some rocks and greeneries are secured with the concrete liner beautifully to give a nice accent beautifully. The rustic rocky look is always a great option to make such a stunning patio which flows beautifully with the natural outdoor surrounding. 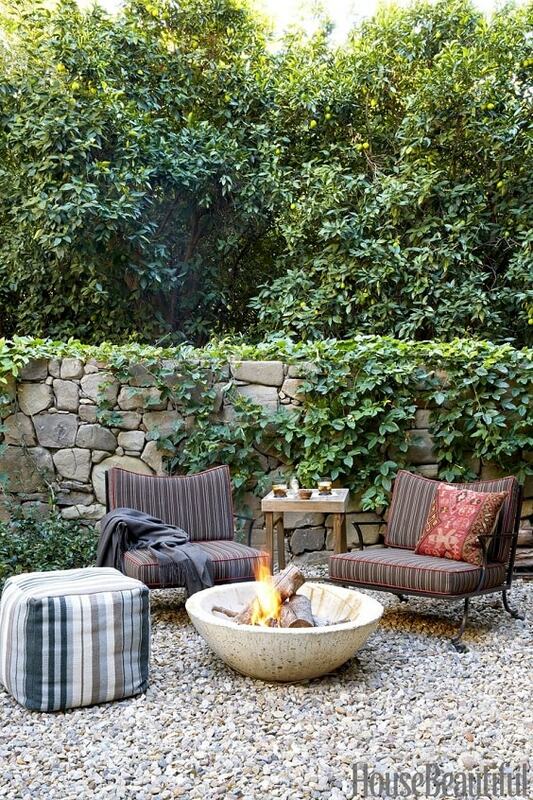 You can see the white gravels are used as the base of the patio with the earthy fire bowl to complete the layout. It’s such a simple DIY patio landscaping ideas that you can try without costing you a lot. This DIY patio landscaping ideas can be a good inspiration for you who have a small patio. 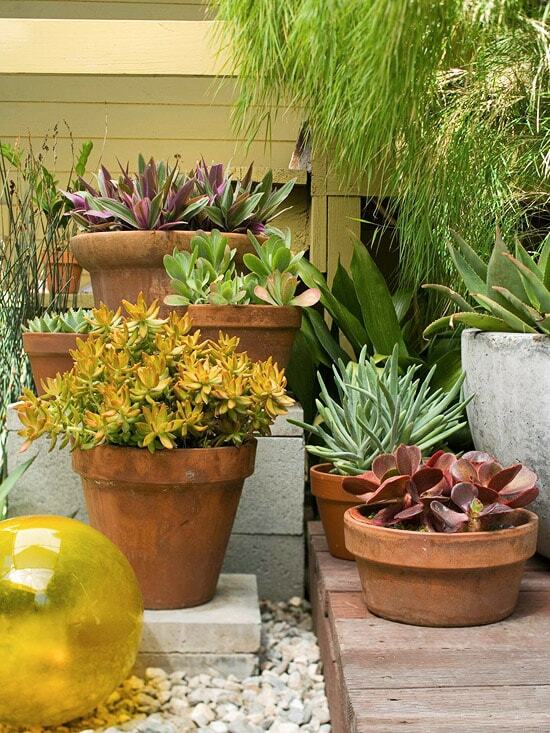 Just by placing some planters around, you can get such a catchy landscape to make your patio look more comforting. 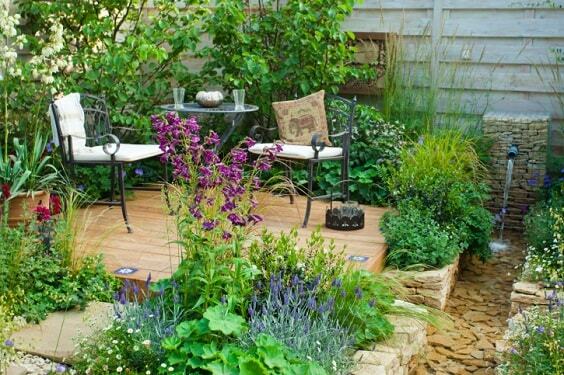 The key to creating this layout is by smartly choosing kinds of plants, pot design, and a stylish arrangement. 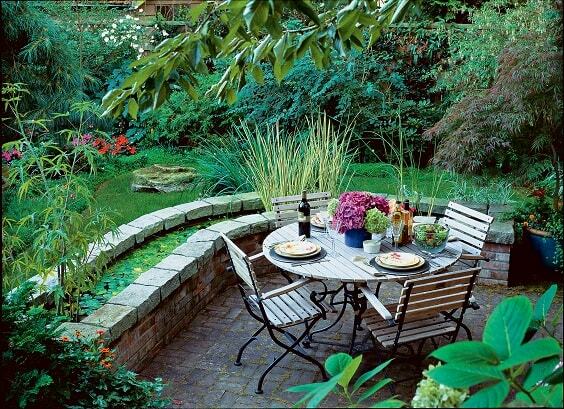 Some naturally gorgeous raised beds which are made of rock slats beautify the landscape of this small patio admirably. 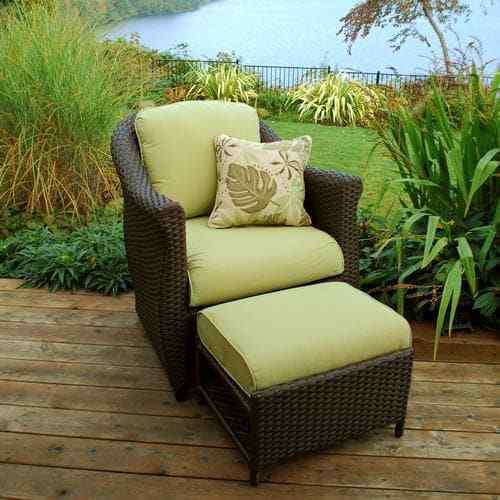 It creates such a beautiful earthy look that will make your patio becomes a gorgeous focal point around the backyard. 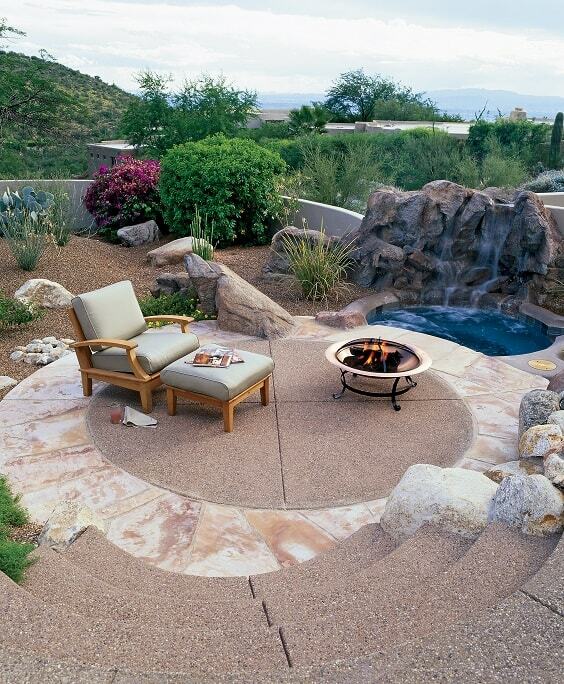 What makes the landscape of this patio look so inspiring to try is its nice blend of all the elements around. Here, the trees are planted very close to the patio which flows beautifully with the furniture and accessories on the patio. You can feel how comforting the patio is with its mesmerizing layout. For you who have a patio which is built close to the house or extends from the wall, you can try this easy DIY patio landscaping ideas. 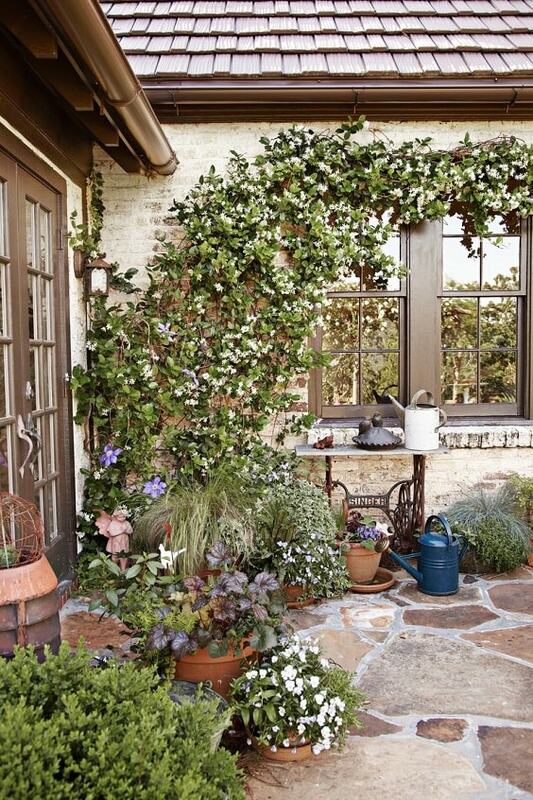 The jasmine beautifully climbs the wall, creating a more beautiful decoration for the patio. 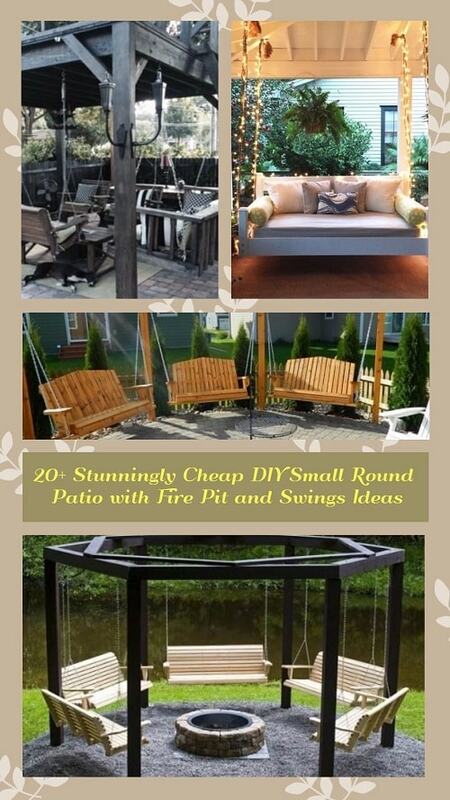 The cozy simple patio with the DIY shade to include in your DIY patio landscaping ideas on a budget list. The shade makes the patio feel more exhilarating to enjoy while also gives another touch to yard’s landscape. 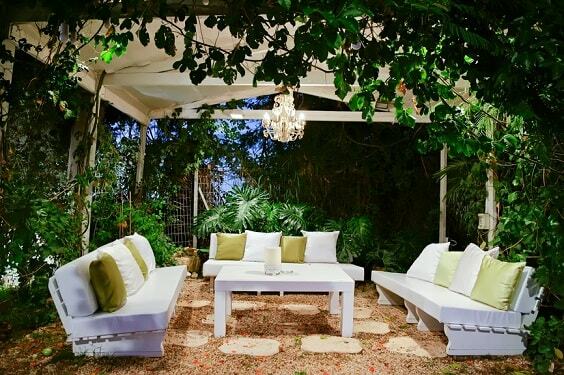 Beside the pergolas or fabric shade, trees also work very well to filter the sun exposure which lightens up your patio. 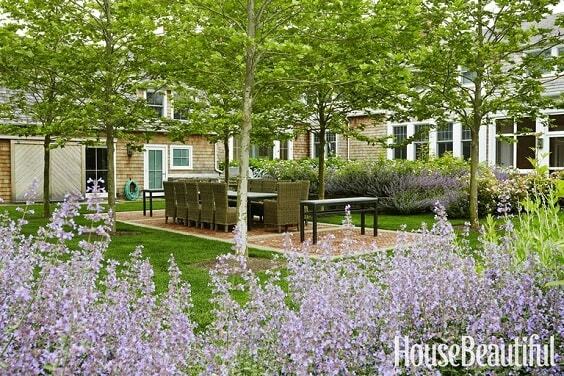 In this DIY patio landscaping ideas, small plane trees are beautifully arranged to create a cozy shade for the medium patio with big dining set. 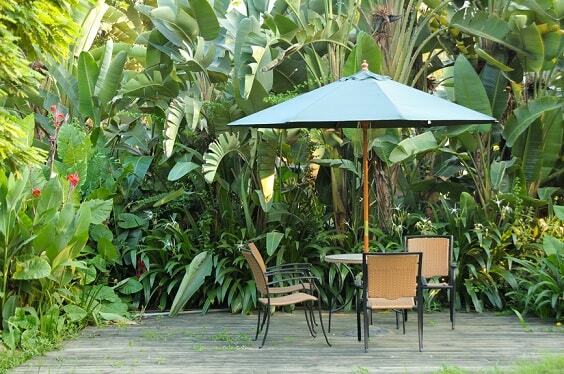 Having an outdoor living space which is surrounded by tropical plants is surely every homeowner’s dream. Here, a simple patio with 5-piece conversation set is landscaped with lots of tropical plants which makes it look so irresistible to enjoy. 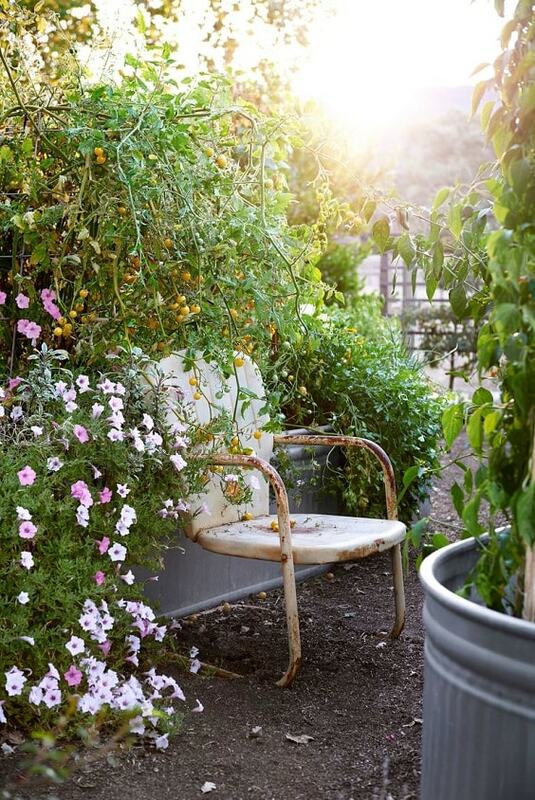 Moreover, the plants also create such a great privacy for the patio area. A catchy DIY patio landscaping ideas which smartly plays with the colors of flowers and grass around. 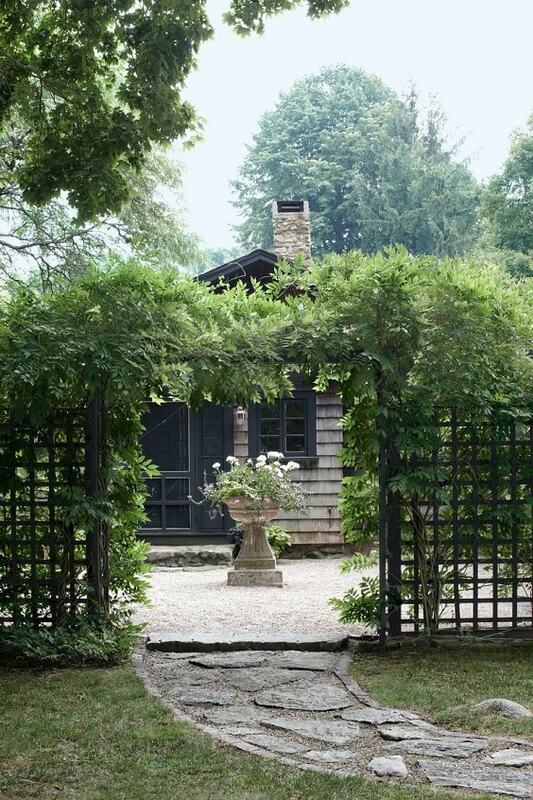 The combination beautifully styles up the yard and makes it look naturally attractive. Another great inspiration to decorate the wall which connects the house to the patio by installing some floating planters. It makes the patio look more beautifully decorative in a natural way. The beautiful desert area with some plants of this patio makes it look distinctively wonderful and, of course, so tempting to try. 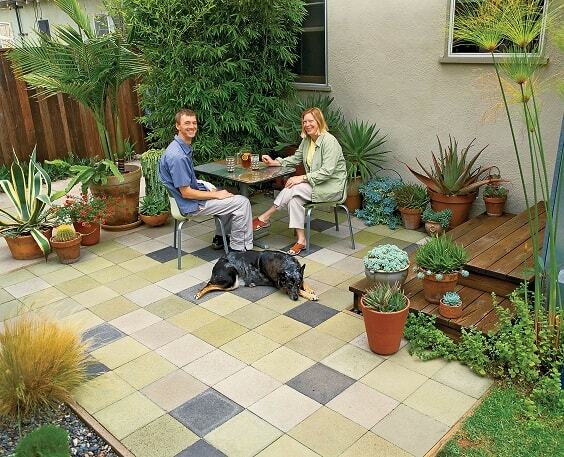 You can apply the landscape when you have an extra space next to your patio. 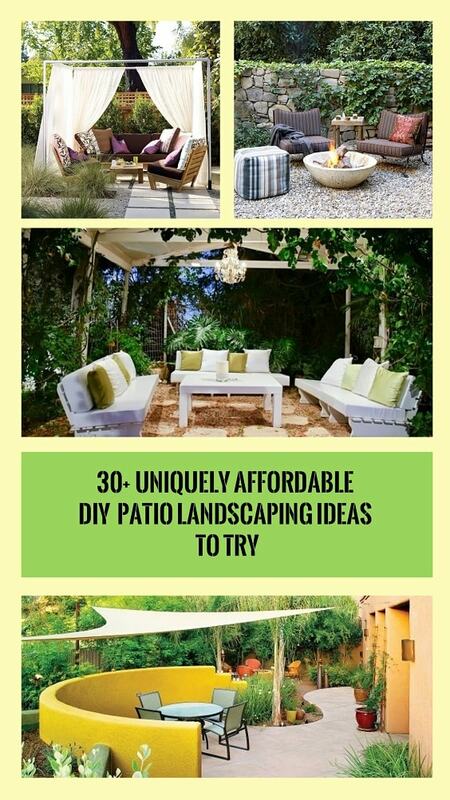 For you who have a limited space on your patio but still wants to have some trees around, this DIY patio landscaping ideas can be the good one to try. Here, the lemon trees are planted in the medium planters which create a nice accent while also shades the space beautifully. This greyish patio is gorgeously colorized with the greeneries which are planted on the raised bed in a lining style. 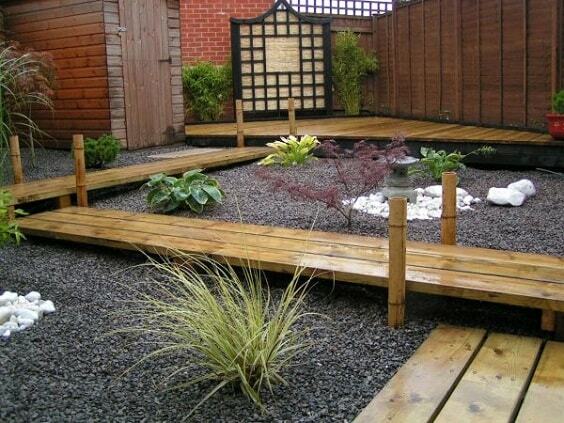 It gives the patio a minimalist natural landscape which so easy to try. The main factor that makes this patio is worth to be one of your best DY patio landscaping ideas is its long curvy pond. 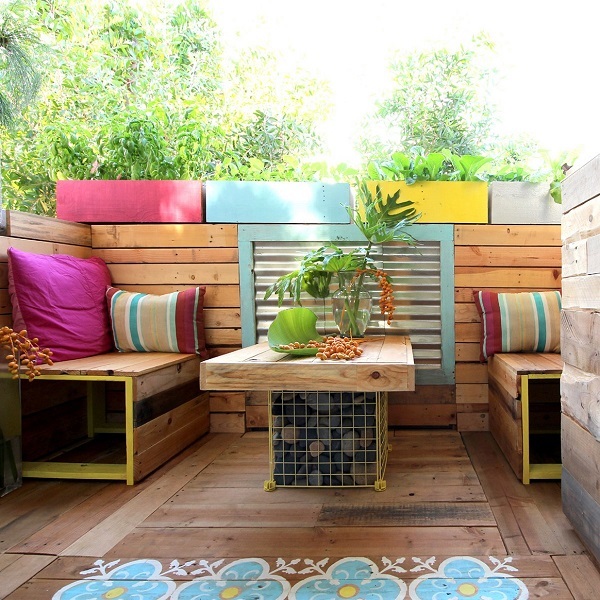 It brings the style of the backyard to a whole new level awesomely. There are obviously lots of choices when it comes to the outdoor plants for a patio landscape, and bamboo is always to best one to pick. With its huge look, the bamboo can give a naturally stylish decor while also gives a little bit of privacy. 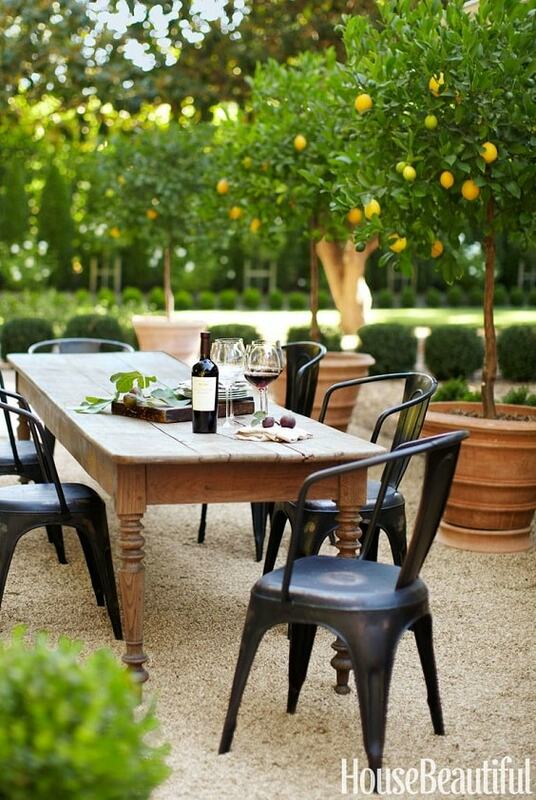 The farmhouse-themed decor is always everyone’s favorite, and applying the style to your patio is surely a good idea. Here, the cherry tomatoes and variegated sage are planted in the galvanized spot which pops up the farmhouse atmosphere around. Everyone knows that used shipping pallet is always a friendly material to cope with thousands of DIY projects, and it’s also applicable to the DIY patio landscaping ideas. 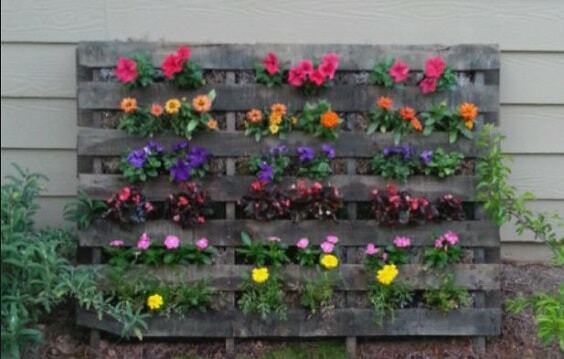 In this project, the pallet is used to plant some flowers in various colors. 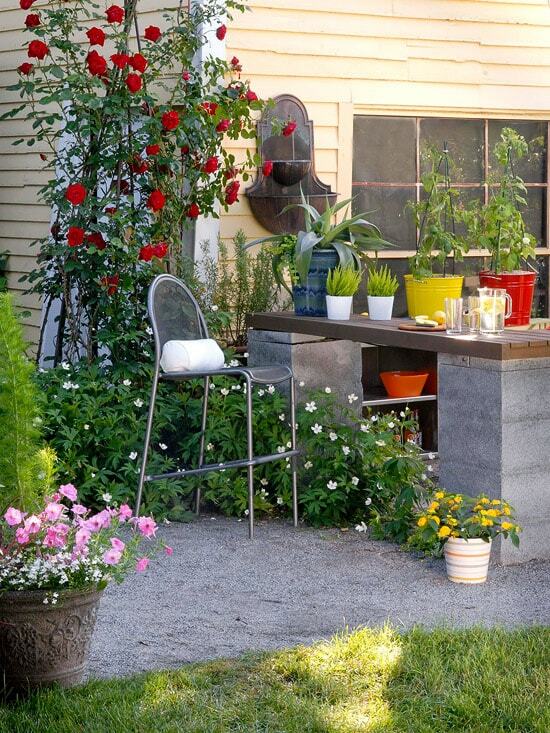 You can place the pallet with flowers on your patio and create such a creatively catchy landscape to enhance its beauty. Placing the tall structure made of wood which is used to secure some plants can be a nice option to create a stand-out focal point on your patio landscape. You can try to copy this idea easily by using the easily-available and affordable materials. Eventually, those are some incredible DIY patio landscaping ideas that must inspire you to make one. You just need to use some affordable and easily-available materials with the simple steps to execute the project by yourself. 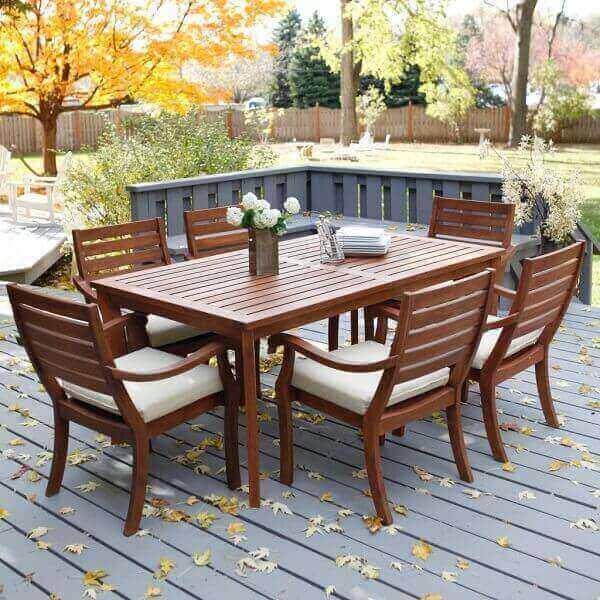 Choose the one which fits with the layout of your outdoor living space to get a beautiful and harmonious look. Also, you have to deal with the existing patio furniture and accessories so you will have a cozyA�spot to enjoy all this summer. Landscaping a patio is always a great idea to improve or remodel your outdoor layout since it can give such a refreshing atmosphere that’ll make it look and feel so inviting for everyone. 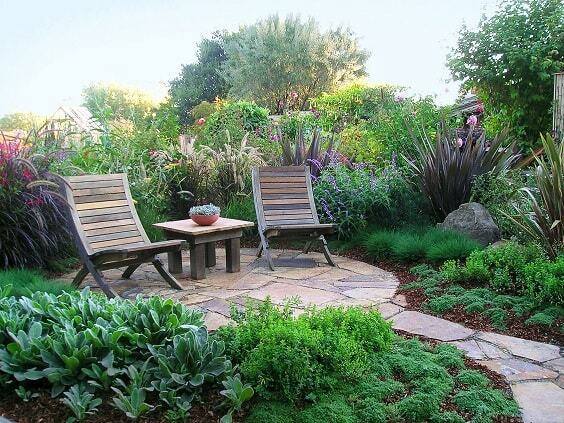 Moreover, with those DIY patio landscaping ideas, you can create your very own landscaping with a much lower budget. Well, happy remodeling your beloved patio then!